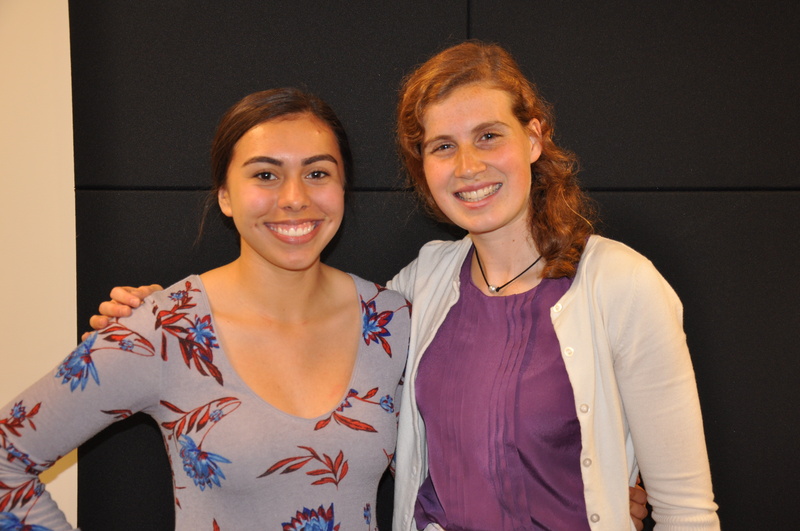 On April 27, Abigail (Abi) Dresser, a senior-class student at the Hartford Magnet Trinity College Academy (HMTCA), and Briana Daley ’18, performed with the Trinity College Instrumental Ensemble. Abigail is the first HMTCA high school student to be part of the Trinity College Instrumental Ensemble. The Instrumental Ensemble recital on April 27, 2017 included a performance by Abi on violin and Trinity College student Briana Daley ’18 on the flute, as well as Coordinator Nancy Curran on the harpsichord. They played two pieces by Jean-Philippe Rameau (1683-1764) entitled La Cupis and La Marais. As one aspect of the partnership between Trinity College and HMTCA, an interdistrict magnet school, Abi applied for and enrolled in Music 101. Her professor for the introductory course, John Platoff, noticed her musical skill and recommended that she tryout for the Instrumental Ensemble (Music 105), which was under the direction of Nancy Curran. At first, Nancy was reluctant to accept a high school student. But having played violin for fourteen years, Abi demonstrated that she had the skill, maturity, and persistence required to participate in the Instrumental Ensemble. After seeing her audition, Nancy was very “enthusiastic” to have her join the Ensemble. This video clip was from the December 2016 performance of the Trinity College Instrumental Ensemble recital. The players include (from left to right) Nancy Curran, coordinator, Abigail Dresser, HMTCA ’17, and Briana Daley, Trinity ’18. Chay Reed joined the Urban Educational Initiatives team in Spring 2017. She works concurrently with the Office of Study Away as an Administrative Assistant. Chay received her B.A. in Studio Arts from Eastern Connecticut State University. Her undergraduate studies also included world literature, Spanish language and Latin American history. She worked part-time in the university library as a student worker, which spawned an interest in a career in librarianship. Chay is currently studying to receive a Masters in Library and Information Science, and takes courses to improve her Spanish language skills. A Connecticut native, her current hobby is latch-hooking (making hand-made rugs). She also enjoys yoga, zumba, and spending time with her family and pets. Chay has traveled to Mexico and Canada, and looks forward to traveling to many more regions of the world. 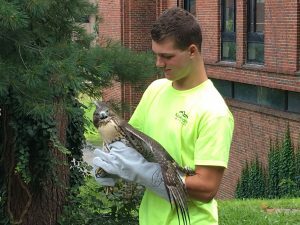 During the spring semester, Trinfo embarked on a new collaboration with a science class and after-school club at the Hartford Magnet Trinity College Academy (HMTCA) that links to Trinfo’s community garden. 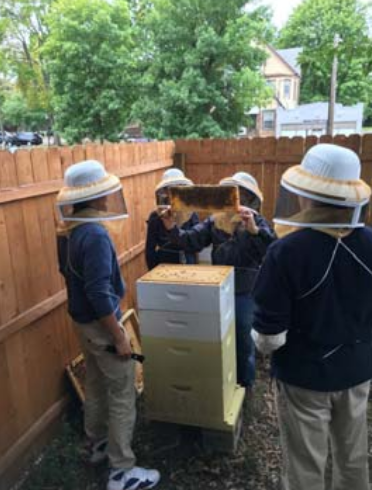 Jared Lewis, the HMTCA teacher leading the class and club, has been beekeeping for a few years now, but in much smaller scale. The students in the original pilot developed a business model where they would harvest the honey and sell it in small bottles to raise funds for the project. Now with the additional colony, the club is doubling the size of the program and subsequently their harvest. Read more at the Urban Planet Fall 2016 edition, which is published by the Center for Urban and Global Studies (edited/designed by Terry Romero). Fifth grade is a vulnerable time in any child’s life — the preteen years are just around the corner, and the transition from elementary school to middle school is imminent. When you’re also struggling with issues of culture, identity, and race, the difficulties are compounded. Maybe you’re a Spanish speaker in an English-speaking institution, frustrated in your attempts to comprehend basic classroom instructions. Perhaps you’re from a family that celebrates its heritage, yet you feel alienated because your cultural identity isn’t recognized by your teachers or classmates, or worse, is seen as deficient. Many children in Hartford’s public schools face these challenges and more, says Trinity Associate Professor of Educational Studies Andrea Dyrness. Read more at the Trinity Reporter here. Join Black and Latino teachers, parents, students, and education leaders to learn about why they and their children are refusing, or “opting out” of various standardized tests in Connecticut. In addition to hearing their stories, we will have time for discussion. Want to learn more about testing and test “opt out”? Check out the background and resources below. Event photo album. Event video. 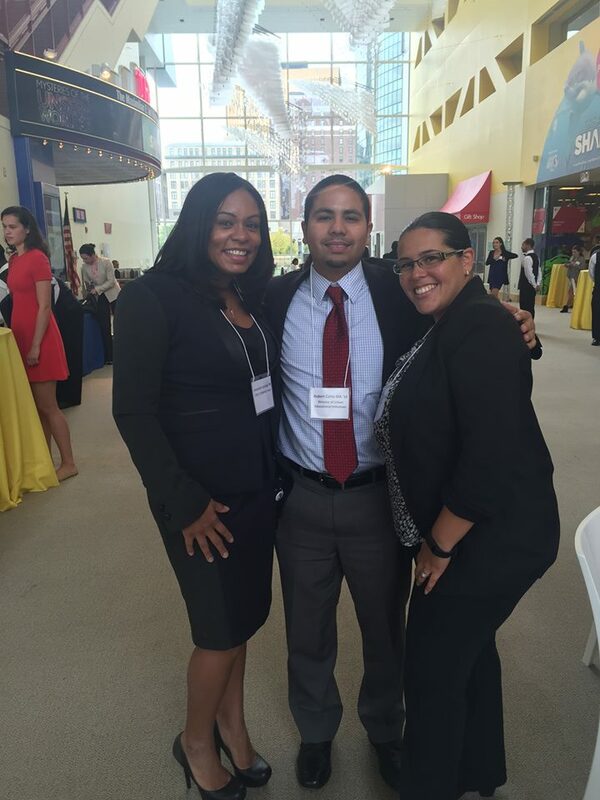 Read “Why We Opt-Out: CT Black and Latino Parents Discuss SBAC”, by Laurel Killough on the CEA blog. When: Thursday, March 31, 2016, 6 – 7:30 p.m. In 2011, Real Hartford reported that one Hartford parent refused to allow her child to take the state standardized tests in protest of educational reform policies in the city schools. Since then, the “opt out” movement has grown across the country and Connecticut as thousands of parents and students across the country are refusing to take state tests in protest of educational reforms associated with high-stakes testing. 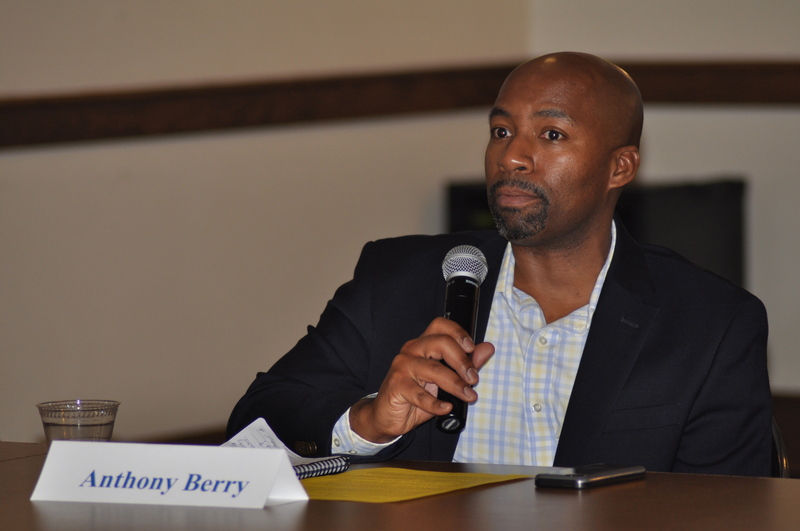 Black and Latino parents and educators in Connecticut have been at the forefront of these challenges to testing and activism in public education more broadly. While white activism on testing is well reported, Black and Latino test boycotts are less visible as well as their critique of high-stakes testing and related reforms. In June 2015, Professor Pedro Noguera and colleagues defended parents’ right to boycott testing as a form of civil rights protest for better education conditions. Nevertheless, the U.S. and CT Departments of Education have sought to penalize schools and districts where high proportions of parents boycott the tests. At the same time, more colleges and universities, including Trinity College, have changed their admissions policies to make tests like the SAT and ACT optional in order to encourage a more diverse group of applicants. In both cases, parents and college administrators have “opted out” of the tests in order to challenge the dominant narrative that standardized tests can adequately demonstrate what children learn and be used for high-stakes decisions. Sponsored by Educational Studies 310 – Testing: From IQ to Common Core, Urban Educational Initiatives. HB 5555, Session 2016: AAC THE MINIMUM BUDGET REQUIREMENT AND PROHIBITING THE INCLUSION OF PARTICIPATION RATES FOR THE STATE-WIDE MASTERY EXAMINATION IN THE CALCULATION OF A SCHOOL DISTRICT’S ACCOUNTABILITY INDEX SCORE. SB 380, Session 2016 AAC THE EXCLUSION OF STUDENT PERFORMANCE RESULTS ON THE MASTERY EXAMINATION FROM TEACHER EVALUATIONS. 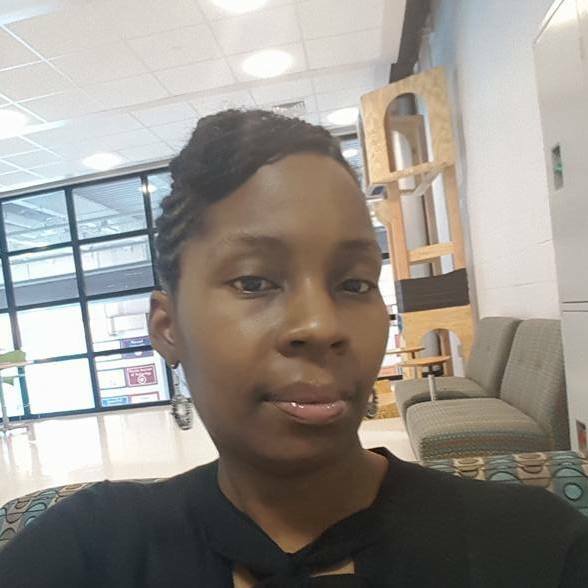 Shonta’ Browdy is a Hartford native and proud mother of two children who currently are being educated in the Hartford Public School system. Her passion is working with the youth both inside and outside of the classroom. For ten years and counting she has advocated for children in Hartford to receive quality educational opportunities. She is ending her 4th and final year of substitute teaching where she learned firsthand the struggles of educating children in a two-tiered educational system. 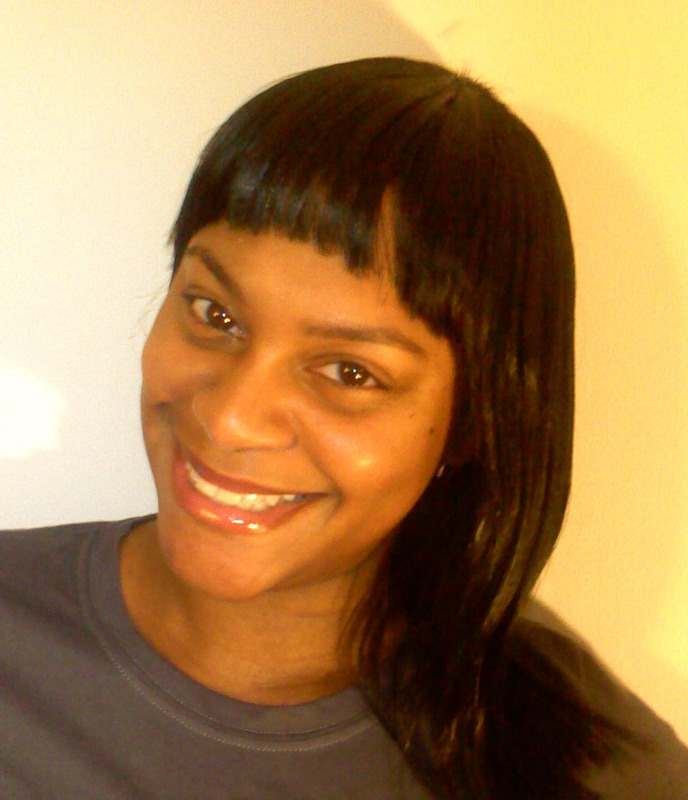 Shonta’ is the Director of P.U.R.P.O.S.E. where she works alongside some amazing parents removing barriers that exists in the lives of children which prevent them from achieving their educational goals. She holds the title of co-advisor of the Youth Council and Education Committee Chair of the Greater Hartford chapter of the NAACP. Another passion that has her excited on the arrival of each spring is leading a community gardening project focused on exposing children to healthy eating all based on a hands-on agricultural curriculum. Leticia Cotto was born and raised in Hartford and is the mother of three. She is co-founder and co-owner of La Paloma Sabanera Coffee House and Bookstore (2004), a bookstore that specialized in the sale of Spanish language books by and about Latino authors and themes and fair trade coffee from Central and South America. As Branch Manager and Latino Services Coordinator, she has been instrumental in developing adult and children’s programming for the Hartford Public Library that directly reaches the Latino Community in Hartford and the Frog Hollow neighborhood. Amongst those programs are: The first city-wide Domino Tournament in 2008, Spanish Language Book Fair with REFORMA Northeast in 2010, Immigrant Experience documentary 2010, Park Street, Barbour Street and Blue Hills Story Walk 2014 and 2015. 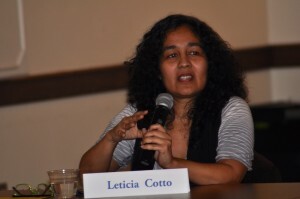 Leticia is a board member for San Juan Center in Hartford and co-chair for the Commission on Refugee and Immigrant Affairs for the city of Hartford. She has extensive experience in working with immigrant communities and has traveled to Nicaragua and Guatemala to help develop ESL classes, computer classes and a small resource library at La Casa Juan Gerardi in Guatemala City. 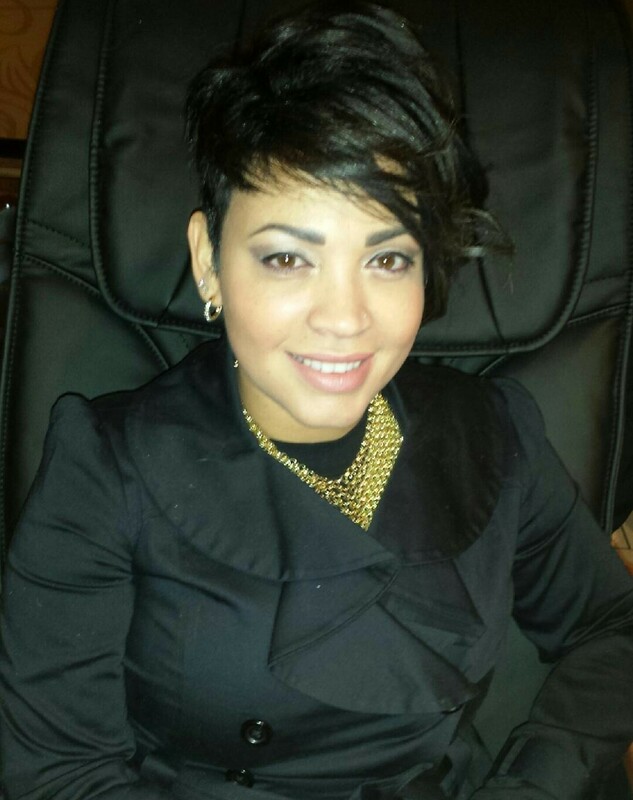 Leticia holds a BA from Southern CT State University and is presently working on a M.S. in Management. For 13 years, Violet has been an educator at the college and high school levels. She is a teacher and instructional coach in the ELL department at a CT high school. She holds bachelor, masters, and Sixth Year (CAGS) from the University of Connecticut, and is currently a doctoral candidate in the Department of Educational Leadership at the University of Bridgeport. A mother of two daughters that attend New Britain Public schools, she has been a vocal advocate for dual-language programs and the elimination of the high-stakes testing that is contributing to the demise of public education. Violet has always been committed to civil rights, multiculturalism, and community service. She is the Immediate Past President (2012-2015) of Altrusa International Inc. of Greater Hartford and a member of the NAACP New Britain branch. 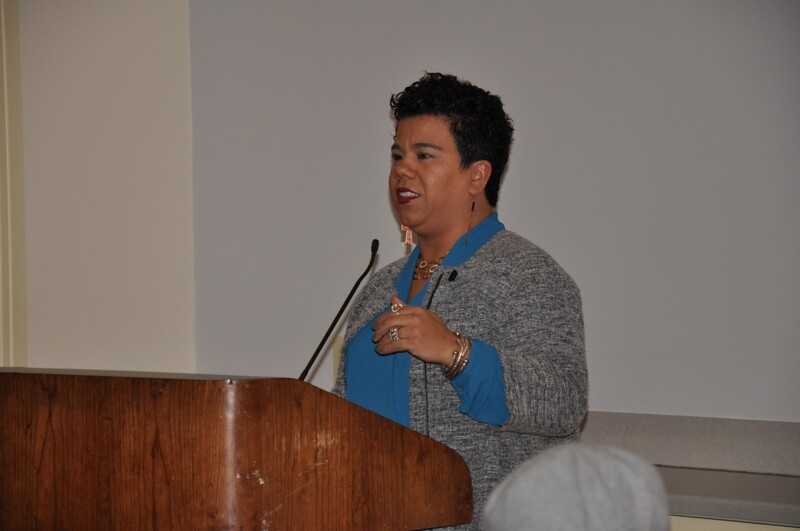 She has been an activist for public education and underrepresented populations at the national, state, and local level, including marching on Washington on a “Journey for Justice”, presenting at conferences, giving testimony at legislative sessions, and being published on topics related to educational equity. She is also a member of the selection committee of the Alma Exley Scholarship Program, which promotes diversity in the teaching profession. 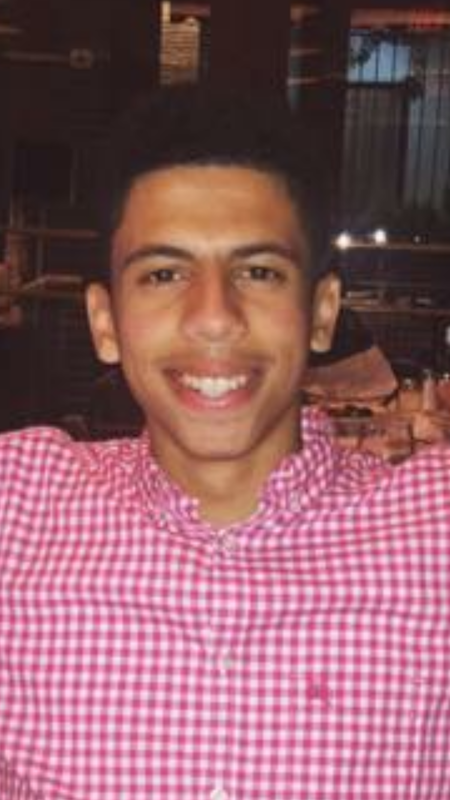 Sean Jaquez is currently a first-year student at Trinity College majoring in mathematics and political science. I am from New York City, where I attended Manhattan Village Academy High School, a public school. 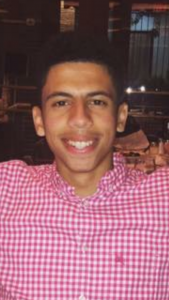 He has two younger siblings who also have opted out of the exam as well. Anthony Berry is currently the Director of Admissions at Trinity College. He has been with the College for over 15 years and has a broad range of college admissions expertise. Anthony holds a B.S. in Marketing from Bentley University and an M.S. in Counseling from Central Connecticut State University. 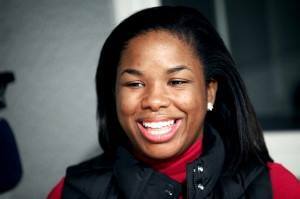 Karen Taylor, a Trinity College IDP ’15 and Weaver High School graduate, was nominated today by Mayor Luke Bronin to serve on the Hartford Board of Education. The nomination must next go before the Hartford City Council for approval. Congratulations to Karen, Dr. Colon-Rivas, Attorney Richard Wareing, and Attorney Tiffany Glanville on their nomination! Read a short bio about Karen below and the other nominees here. Karen Taylor is a North End parent of two elementary school twins at the University of Hartford Magnet School. She is a proud graduate of Weaver High School and Trinity College’s IDP program and is a member of the Sheff Movement Coalition and the Greater Hartford NAACP. Taylor is currently enrolled in Leadership Greater Hartford’s Quest program and serves as an advisor to Trinity College Black Women’s Organization. She earned her bachelor’s degree from Trinity College in Educational Studies with honors. 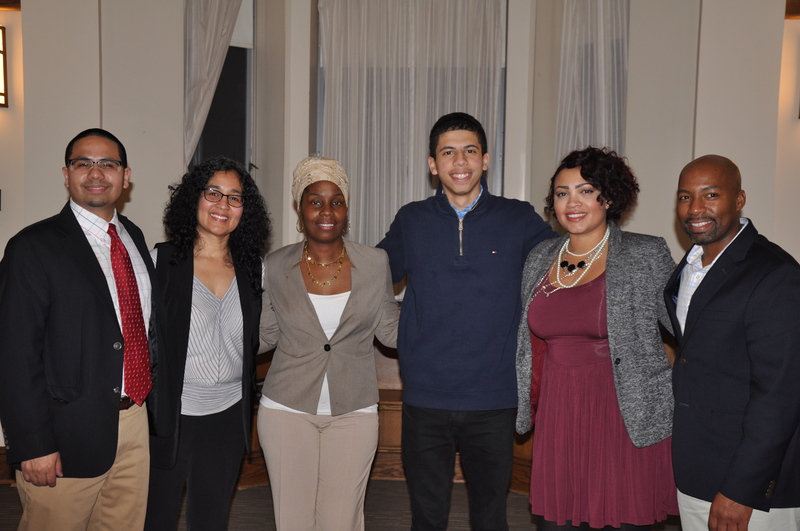 On Monday, November 9, 2015, Rosa Clemente visited Trinity College to present her talk entitled, “Thinking Critically about #blacklivesmatter”. 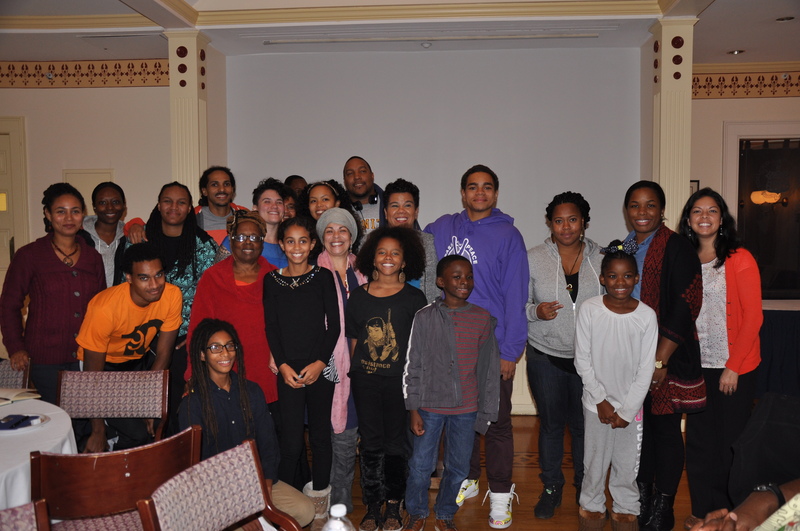 Current and former students, faculty, and staff gathered in Smith House to hear Clemente, who is a nationally-known, Black Puerto Rican organizer, journalist, and entrepreneur. Using the “Ferguson Moment” as a reference point, she focused her message of thinking and organizing critically for the current Trinity students. She reflected on past success and challenges in activism, scholarship; and she urged students to become active in whatever space, position, or situation they found themselves. 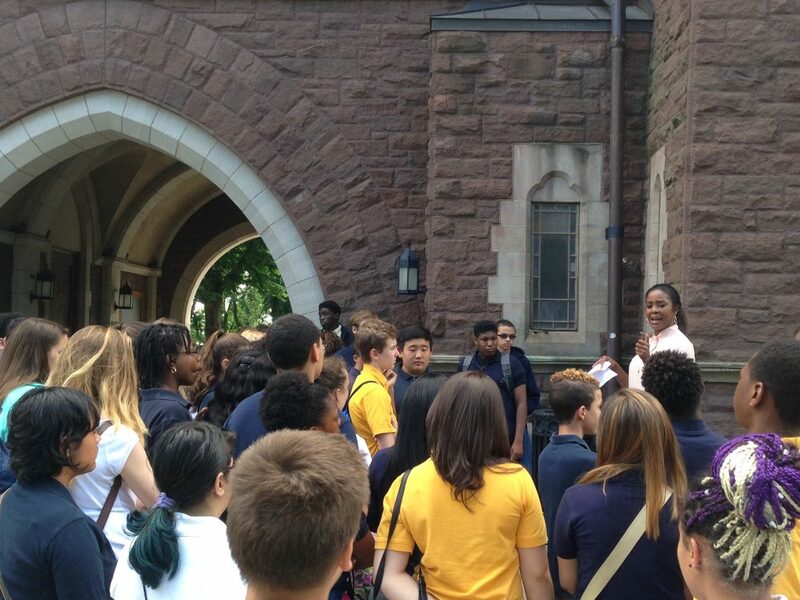 She reminded students that there is always work to be done for racial, economic, and social justice. In clear, real talk, Clemente was most eloquent in speaking about vulnerability in activism. Quoting the assassinated Black Panther leader Fred Hampton, she reminded students that “you dare to struggle, you dare to win”. In other words, despite the risks, activism – minor and major – opens up possibilities that were not there before. She also talked about her own love for activism, working to find balance in her life, and the importance of being open about mental health struggles. Her openness and insight made it feel like we were in the living room of an aunt or titi (as she mentioned a few times) and listening to the sharp wisdom that you can’t hear outside of a familiar space. Like an aunt’s house, the crowd listened for nearly three hours into the night with new insights and unresolved questions. 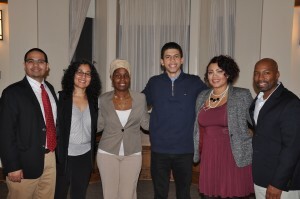 The evening was sponsored by the Office of Multicultural Affairs and the Multicultural Affairs Council of the Student Government Association at Trinity College. Over the last two days, the Career Development Office hosted the “Bantam Student Success Program” for Trinity students interested in learning more about career prospects. Dozens of people connected to Trinity as alums, supporters, students, administrators, and faculty participated in making the days meaningful. Among the distinguished guests for different panels were alumnae, Jacquelyn Santiago (pictured left), the Chief Operating Officer at COMPASS Youth Collaborative, Inc, and Shakira Aida Ramos (pictured right), a Fleet Manager at Pratt and Whitney (UTC). Jacquelyn participated on the “Non-Profits” panel, while Shakira was on the “STEM” panel. Among their many accomplishments, Jacquelyn was recently named one of the Hartford Business Journal’s “40 Under 40” and Ramos was a Trinity College Trustee until 2010. The education careers panel included Trinity alumna Crisanne Colgan , M.A. ’74, and Director of Urban Educational Initiatives, Robert Cotto, Jr., M.A. ’14 (pictured middle). Crisanne was a teacher and administrator in the Avon Public Schools district for several decades. She shared her path towards that career and some advice for current students. Robert Cotto also shared his path to becoming a teacher and working in educational policy. The audience of roughly 20 students consisted of mostly sophomore and junior Trinity students. Their questions ranged from how to make the most of a liberal arts education, to what services students need today, and what is the best way to become knowledgeable about education policy. Hopefully this conversation will continue into next Thursday’s, “Careers in Urban Education” panel.